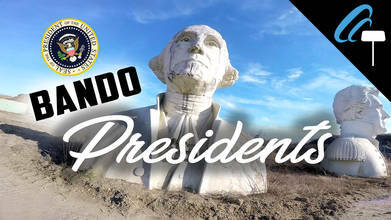 Ever seen a field of crumbling, gigantic, 18-foot statues molded to look like the heads of the first 43 Presidents of the United States of America? We hadn’t either. See them for yourself in Williamsburg, Virginia, or you can just sit back and view them from the comfort of your own home thanks to this epic flight by TwansFPV. He’ll rip around the massive, crumbling busts taking a special interest in America’s first president Mr. George Washington himself. This epic location landed him on our FPV Pilots to Watch list.